This entry was posted in Miscellaneous and tagged About Chains..., pause, World Animal Foundation. Bookmark the permalink. 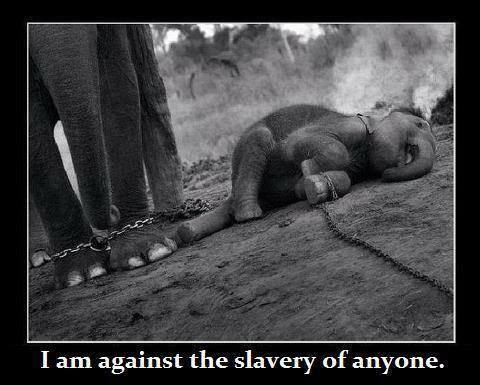 Although I would like to think that the people who did that to those elephants will experience being chained and shackled, plus doing unpaid slave duty clearing out the prison latrines … for a very long time.